Happy Spring, everyone! April brought torrents of rain down upon NYC, and I’m so glad that May is finally here in full force. 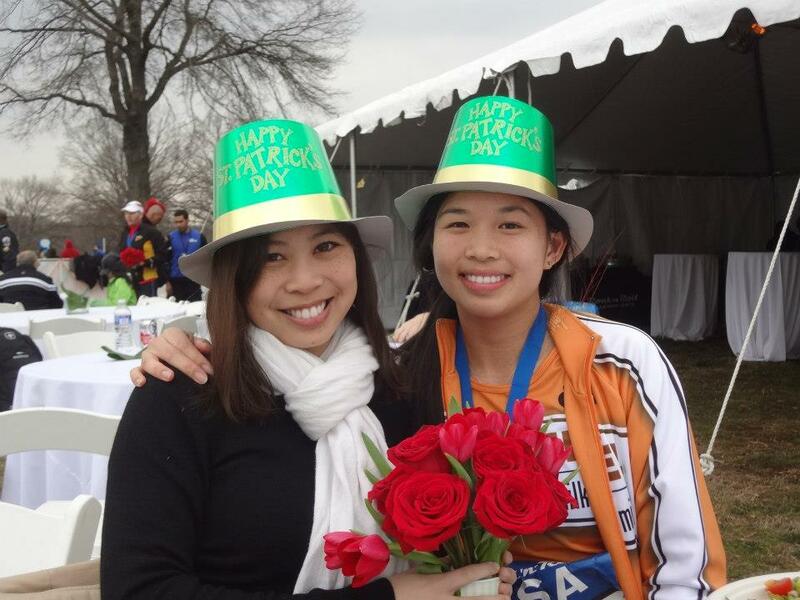 I have gained a ton of pacing experience for two half-marathons and a full marathon since I last wrote! 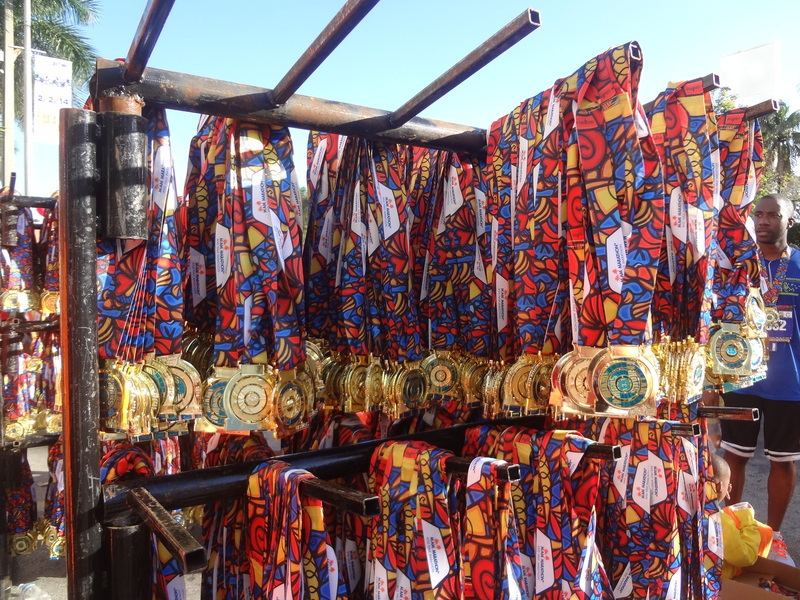 I have a few race reports to catch up on–April was a busy time for me as I participated in the Faberge Big Egg Hunt NY and ran in several races, including the More/Fitness Women’s Half (paced the 2:15 group), the Scotland Run 10K, and I paced the Novo Nordisk New Jersey Marathon 5:10 group! 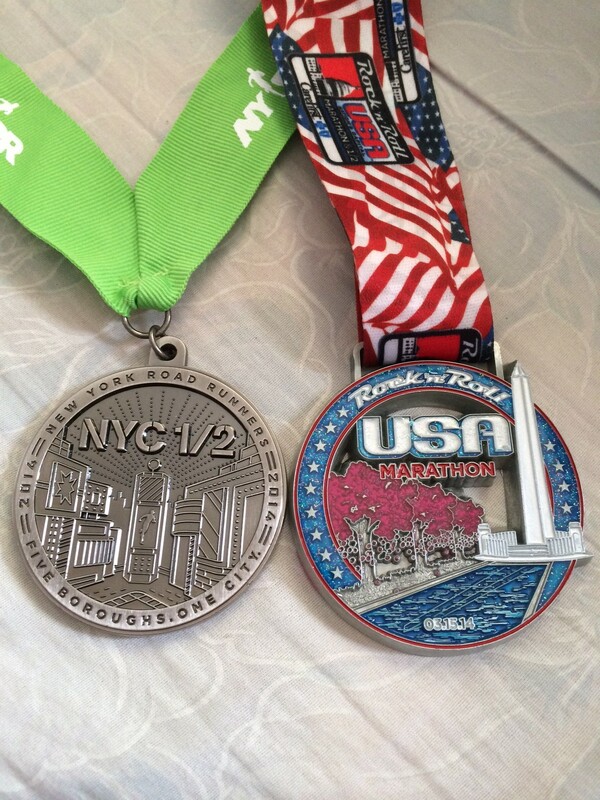 In March, my big weekend was running/pacing the NYC Half and running the Rock ‘n’ Roll USA Marathon on consecutive days. It was an exhausting schedule, but I am building up to my two goal races of 2014: the Great New York Running Exposition 100-miler in June, and the Superior 100 miler in Minnesota in September. 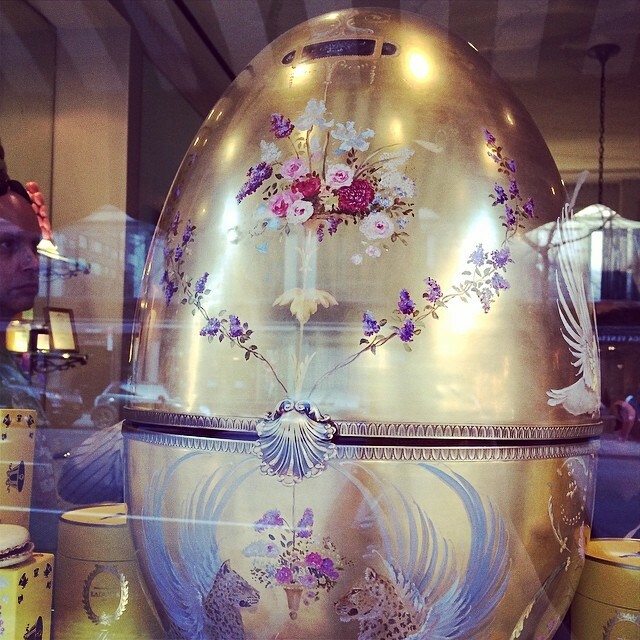 The Faberge Big Egg Hunt deserves its own post–the city of New York and Faberge hosted a really cool public art project, where anyone with a smartphone and a camera can participate. Artists, architects, designers and schools created/painted 270 eggs that were scattered around NYC for 3 weeks. During the fourth week, the eggs all nested together in Rockefeller Center! It was magical. 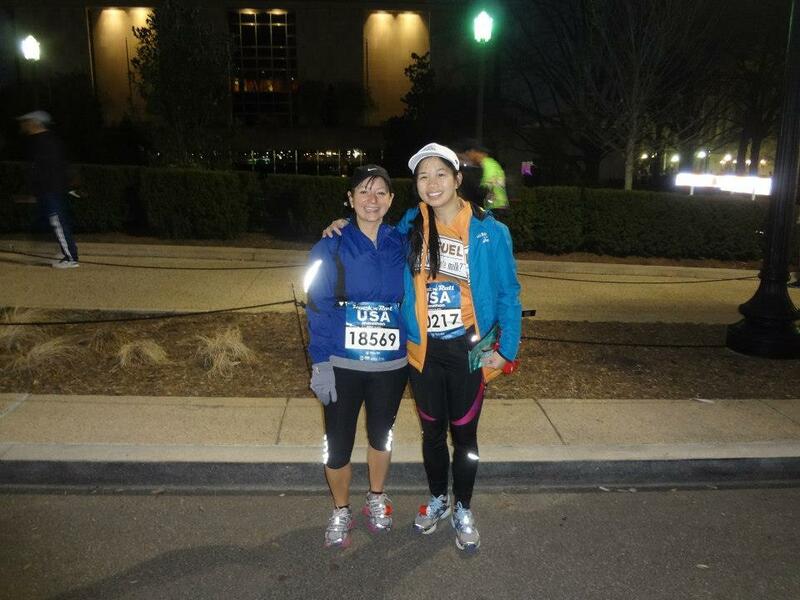 Me and Jackie after successfully pacing the 2:15 group at the NYC Half! 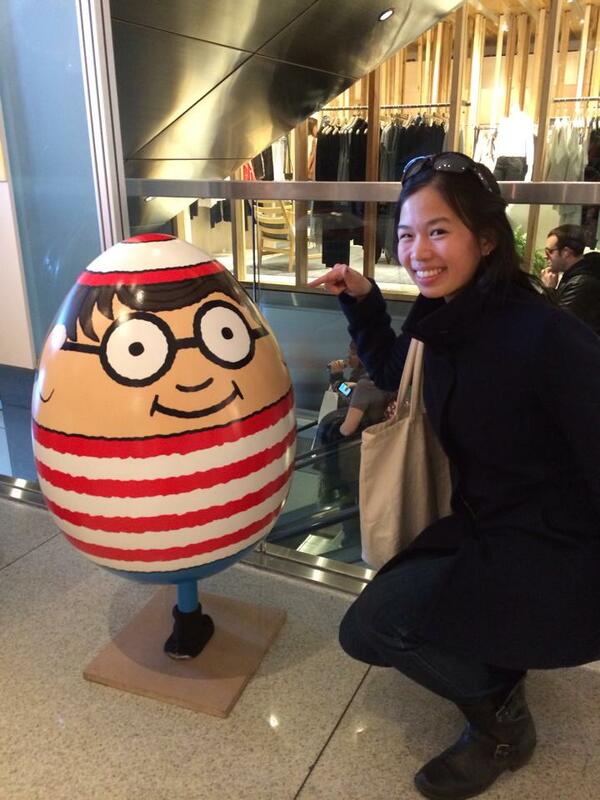 I found Where’s Waldo egg! I am excited to announce that I was recently selected as a Skechers Performance Brand Ambassador! I am so grateful to Julia, my friend, and Giulli, who believed in me and brought me on. 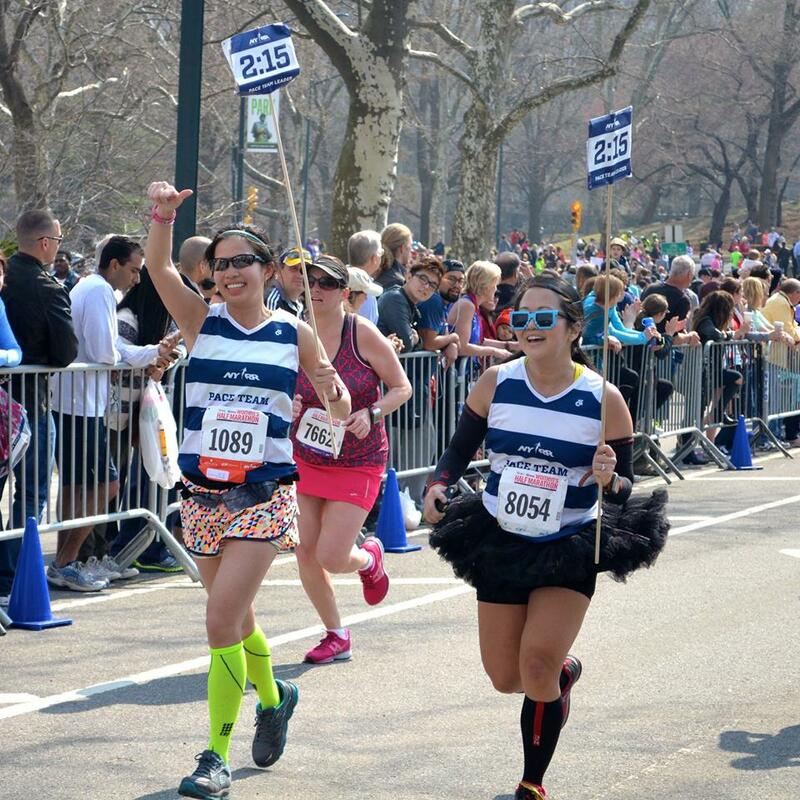 I love how Skechers has been supportive of the local running community by signing up club runners as wear testers, and has sponsored some of my favorite races (the More Fitness Half, pacers of the Long Branch Half Marathon and the Run 10 Feed 10)! I am proud to wear their products and I highly recommend their GoRun Ultras for runners who are looking for a stable marathon training shoe. Thanks, Skechers! 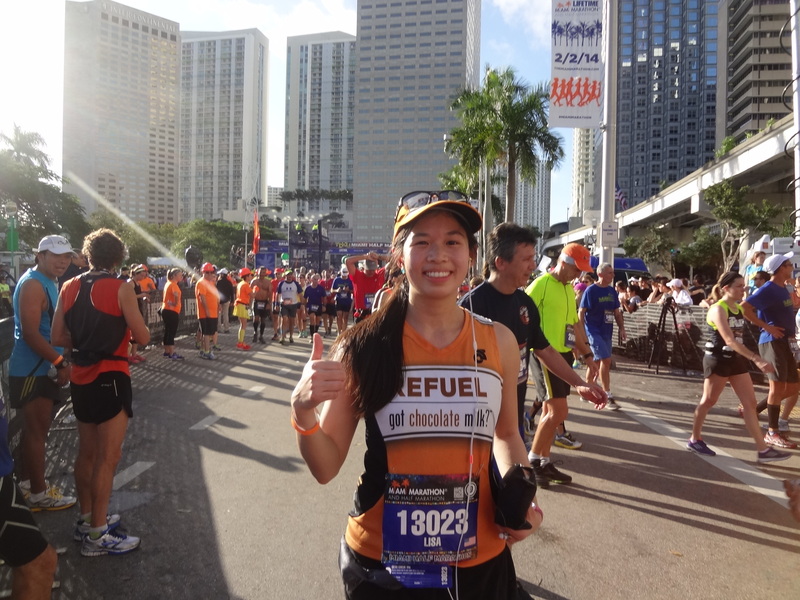 On February (2/2), I had the joy of running the Miami Half Marathon as a brief vacation before I started my new job. I wore the Skechers Nite Owl shoe (similar to the GoRun Ultra in terms of cushioning), and I ran a 2:16:35 in very hot and humid weather. This was only two weeks after I ran the Beast of Burden Winter 50-miler, so I was happy with my time. 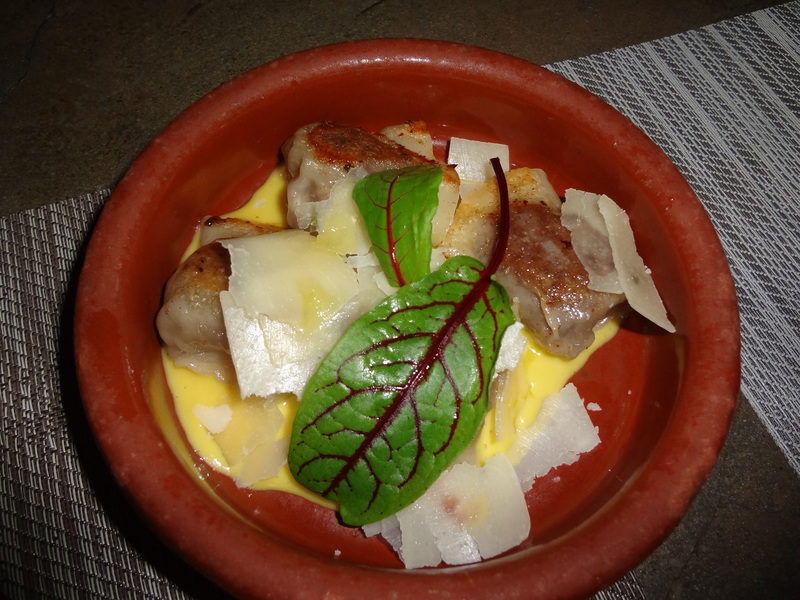 Miami was a much-needed vacation for me, plus I treated it like a culinary/running trip. The Super Bowl was being hosted in NYC the same weekend, so I wanted to get away from the madness, then fly back to NYC to watch the game on TV. It was an ambitious plan. 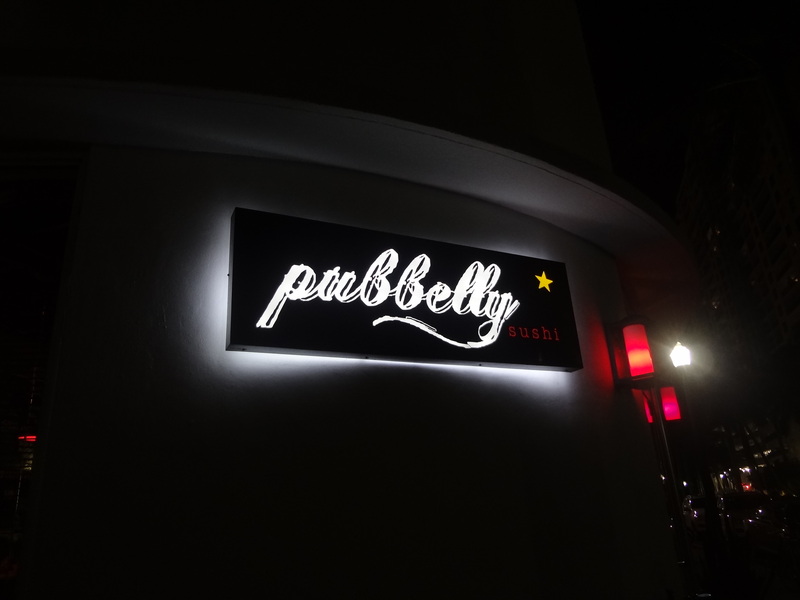 My first stop was at Pubbelly Sushi in Miami Beach. I had wanted to come here two years ago when my friend Rebekah told me about it, and I finally made it! 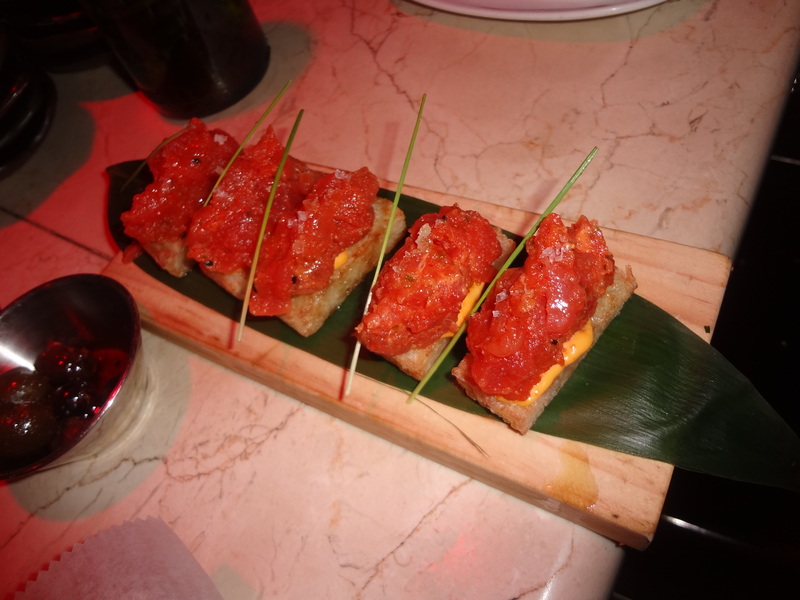 I highly recommend getting their BigEye Tuna Pubbelly roll–it comes with spicy tuna “arroz pegao,” rocotto cream, and sea salt. It was an explosion of flavors, very unique! I dined at the bar and the staff were very friendly. As I was carb-loading for my big race (half marathon), I had to eat more, right? I also got the fried clam roll with cole slaw and lemon, plus chocolate bread pudding and ice cream for good measure. I practically had to roll back to my hotel because I was so full, but it was worth it. 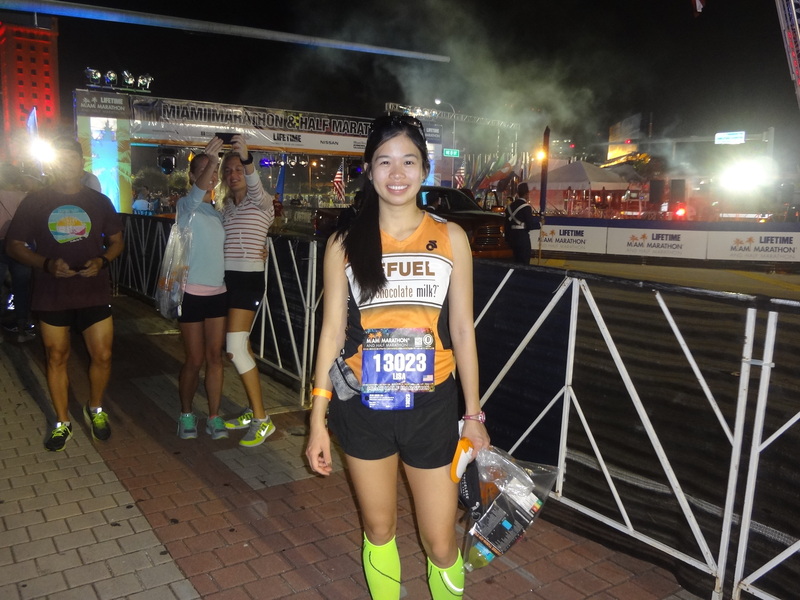 The next day, I went to the Miami Half and Marathon expo at the convention center. 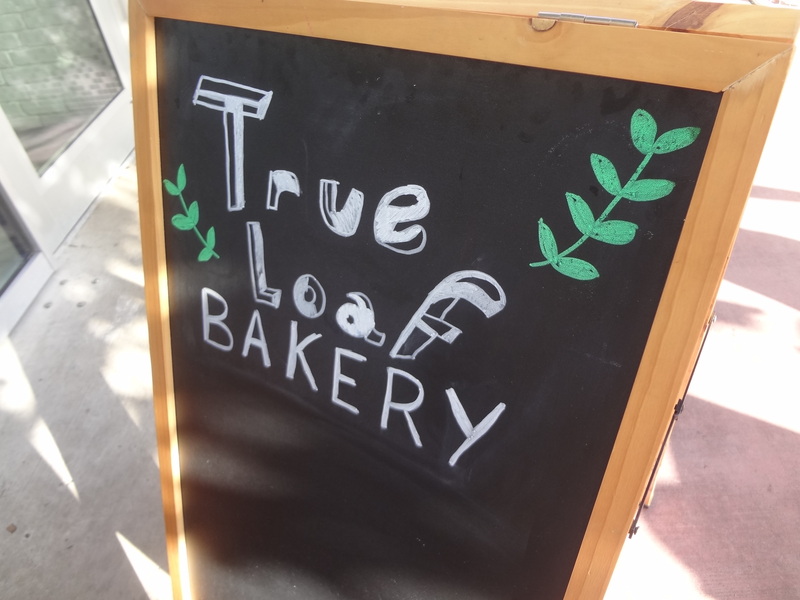 Before I met up with my friends Kristen and Colleen, I had to stop by a cute bakery called True Loaf Bakery. Folks, if you haven’t seen this bakery yet and you’re visiting Miami–do yourself a favor and GO. It is a hidden gem, seriously. They bake everything fresh daily, and they are known for their breads and chocolate croissants. The owner is very very nice, and you could watch him at work in the open-air kitchen. I saw him applying a glaze to the un-baked croissants and was transfixed. I’m so glad I stopped by! It looks like a European-style bakery, minimalist and airy, with plenty of baked goods on the shelves. 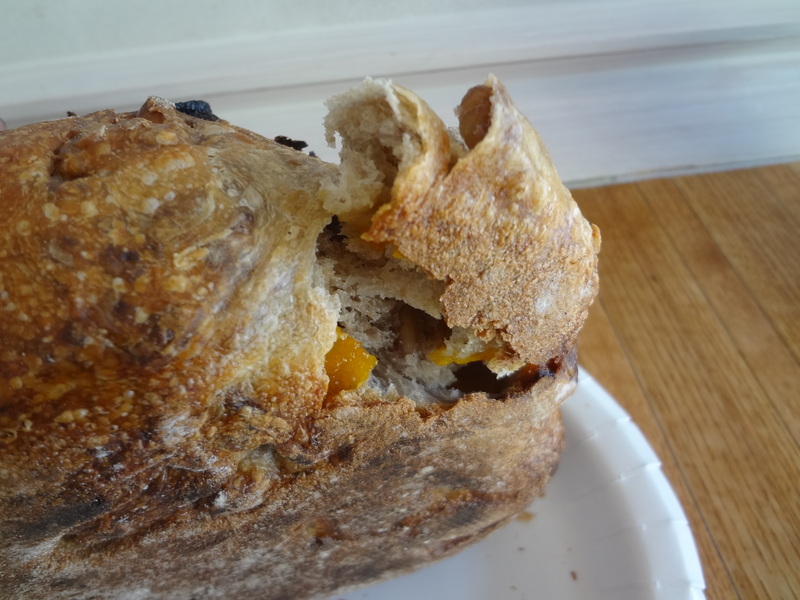 I ordered the special daily bread, which was peach and walnut. It was a massive loaf and felt like it weighed 3 pounds, and I knew I’d have to share it later! I also ordered one of their to-die-for chocolate croissants. 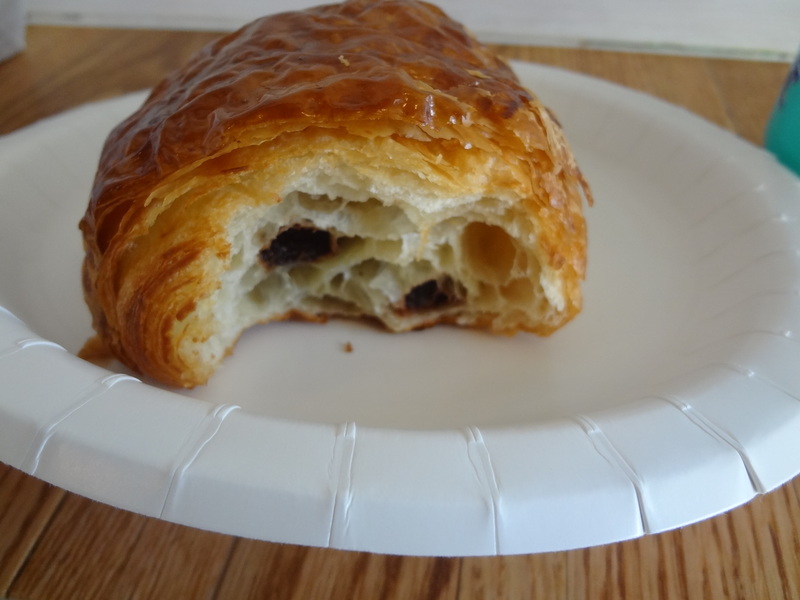 It was honestly the best chocolate croissant I have ever had! I also stopped by later in the day towards closing time to say hello to the owner and tell him how much my friends enjoyed the bread. He sent me home with a parting gift of some more baked goods. It was really sweet! I will definitely visit again next time I’m in town. 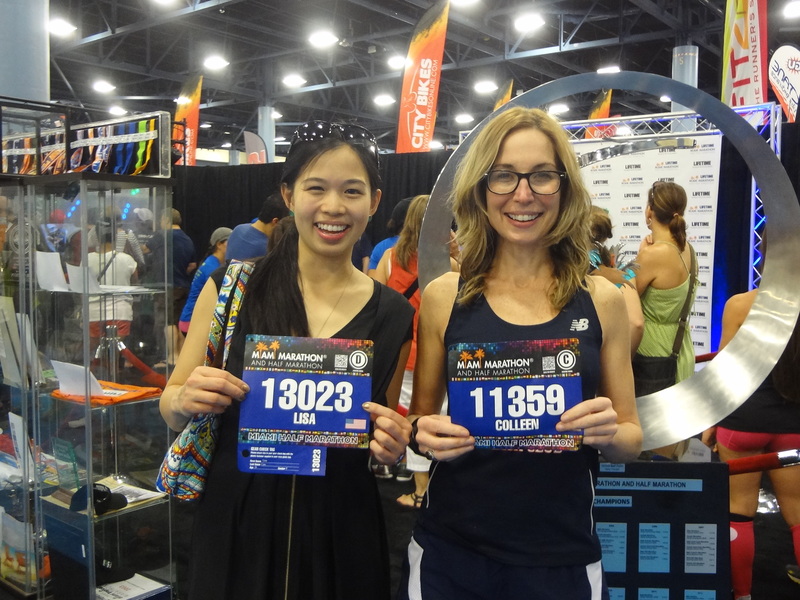 Once I picked up my bib, I got pretty excited for the race. I couldn’t believe I was here! I had planned the whole trip in less than a week, and so I was really glad I came. 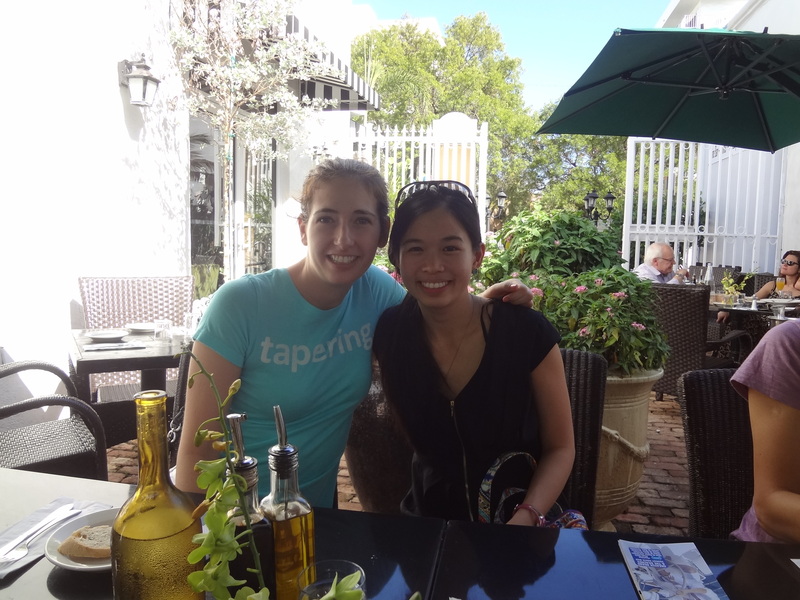 I met up with Kristen and her group of friends, and we dined alfresco at Cara Mia Trattoria in Miami Beach. See? I told you this trip was all about eating. 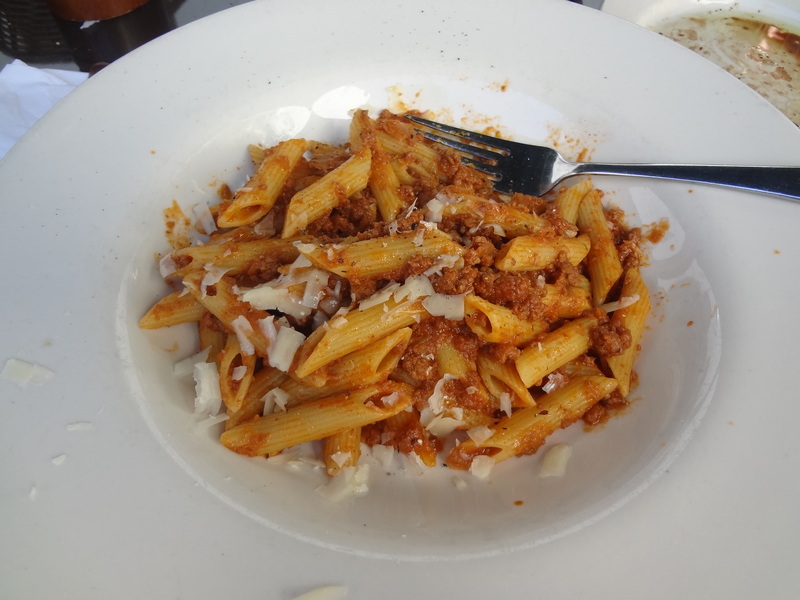 My penne bolognese was on point–very delicious! After the expo, I relaxed a bit on the beach, then bought some souvenirs, and decided that I would go to Pubbelly Restaurant (sister to Pubbelly Sushi) for dinner. 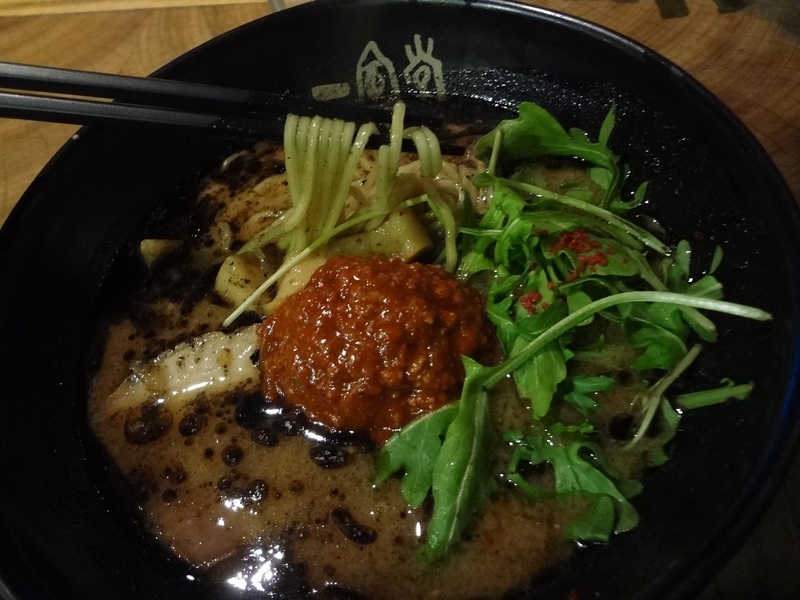 I saw they had ramen on the menu and decided it was a no-brainer to go! 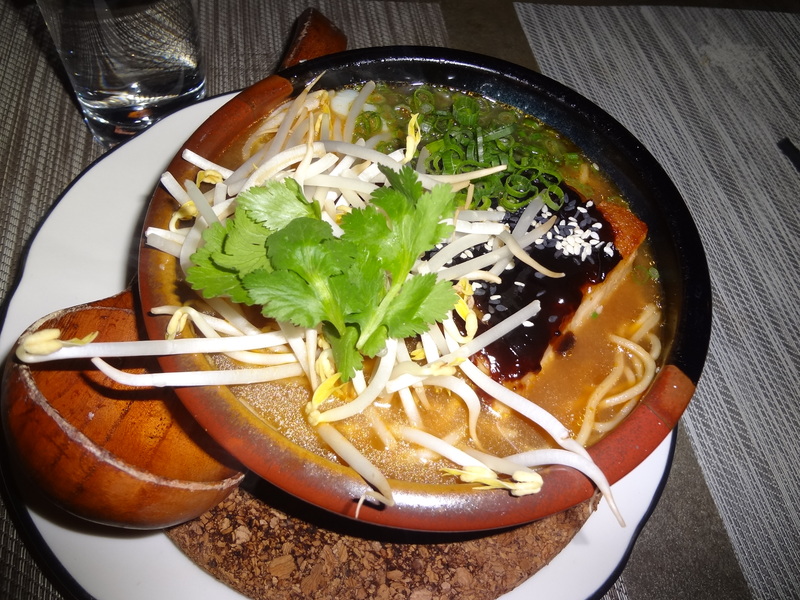 The ramen lemongrass broth was very flavorful, and the BBQ pork belly was silky and tender. It was great for carbo-loading! I dined at the bar and spoke to a couple that had just finished the tasting menu. I was still full from lunch, but they raved about the tasting menu and made me promise to order it next time I was there. Duly noted! I also got some amazing Shortrib and Corn dumplings with black truffle. It was a very unique item on the menu so I had to try it! I highly recommend this dish. 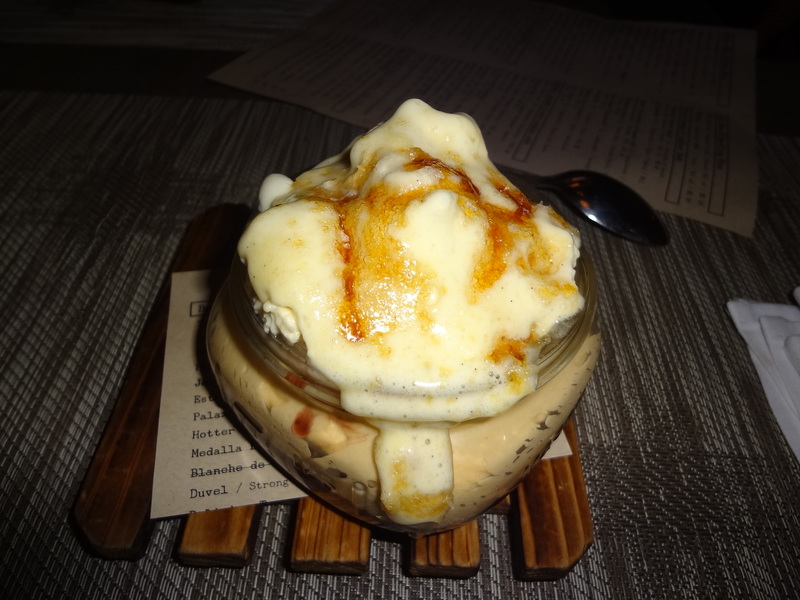 Finally, I ended the meal with the mason jar for dessert. 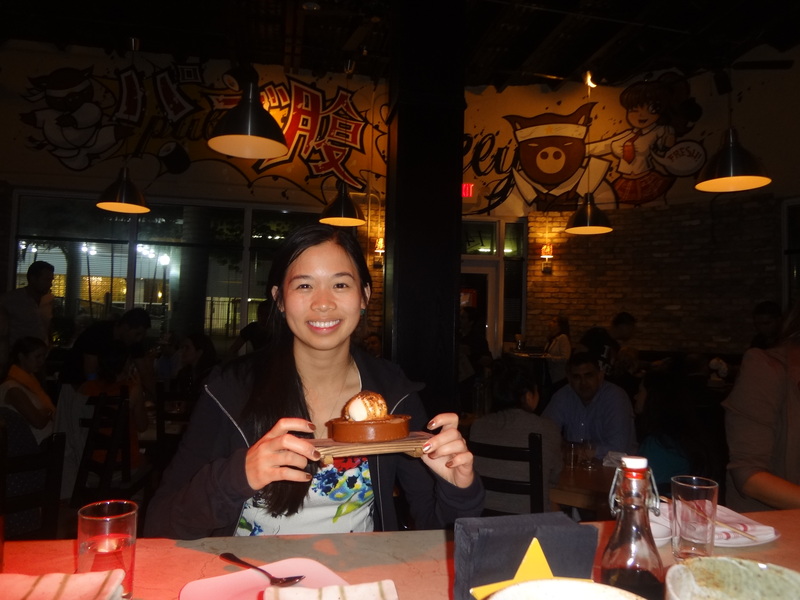 It was one of the best desserts I have had in recent memory. I can’t even tell you the ingredients, except there was bruleed ice cream on top. Go for it! Finally, I was done with my epic meal. Before I turned in for the night, I hung out with a mutual friend, Paul from New York. By the time we were done chatting for the night (he was running the marathon), it was already 11am and I had to get up at 4:30am. Oops. Oh well, no one ever sleeps on vacation! My friend Kyle very kindly drove me to the shuttle the next morning–thanks, Kyle! It was great seeing a familar face before I boarded the bus. 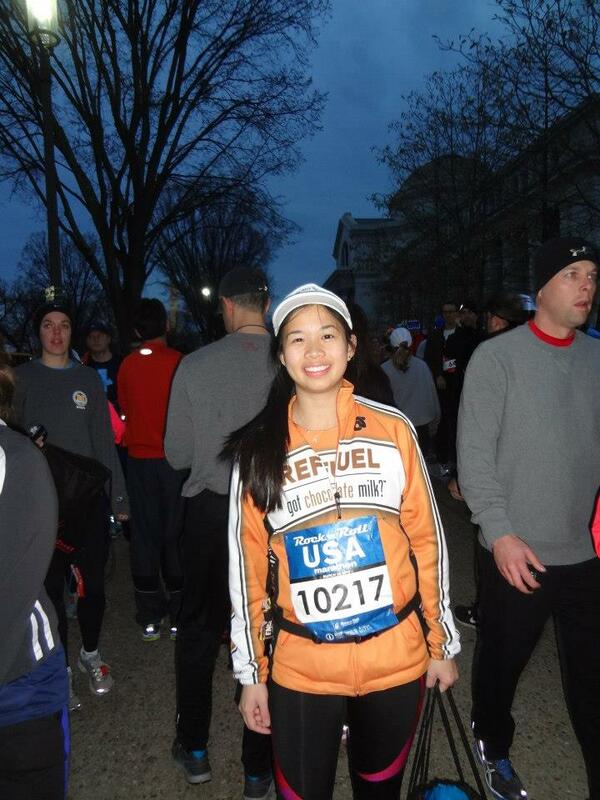 I am barely awake in my pre-race photos because it was so early. The official start was around 6am, and there were wave starts to space out the runners. This race is always hot–I regretted not bringing a water bottle because we went almost 3 miles until we reached the first aid station! There were about 20,000 people in the race, so it was massive. Note to self–bring a water bottle for the first few miles next time! The course was beautiful–mostly flat, but very hot and humid. 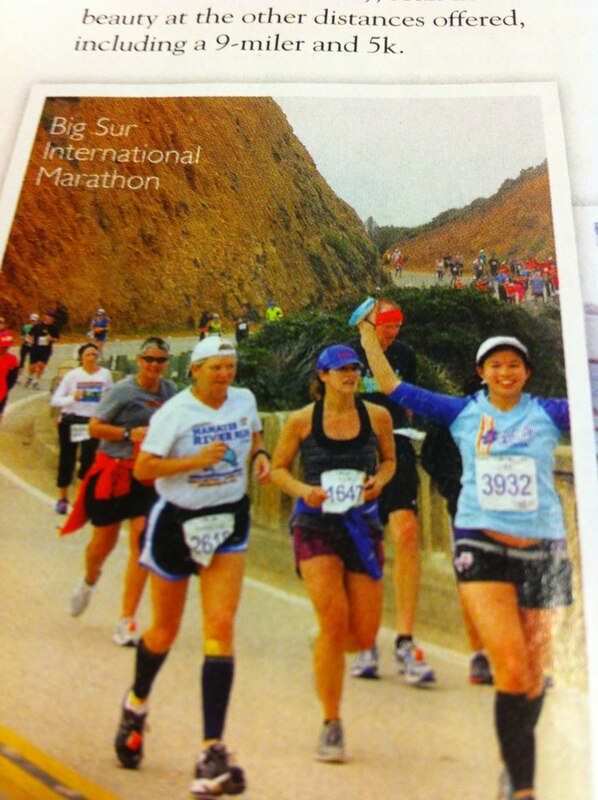 I was so glad I wasn’t doing the marathon this time! I unfortunately had to catch a shuttle ride I had pre-booked to the airport at around 11:45am, so I was in a rush to finish as well as I could! There were fun signs along the course, and crowd support in some areas were good. 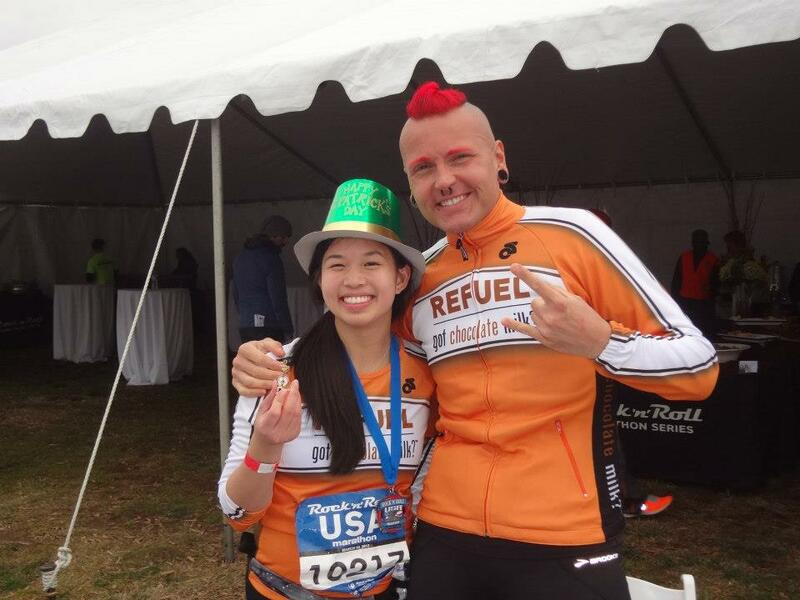 I was so glad that I chose the half marathon, as it was high 80s and humid–very difficult to run in after a freezing cold winter. 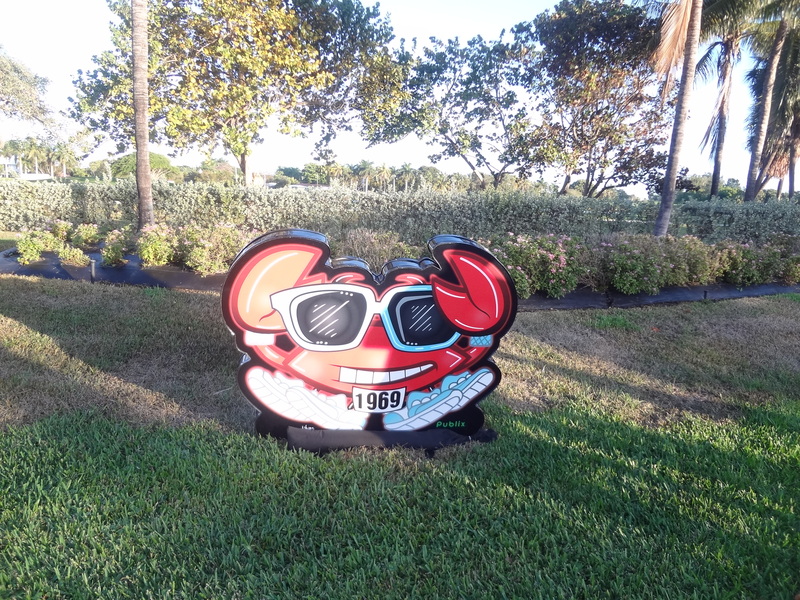 My favorite part was running along the causeway and seeing the cruise ships. There were also cute motivational signs and pineapple on the course! The Miami Marathon and Half always gives great medals year after year. This year’s was a triple spinner medal! 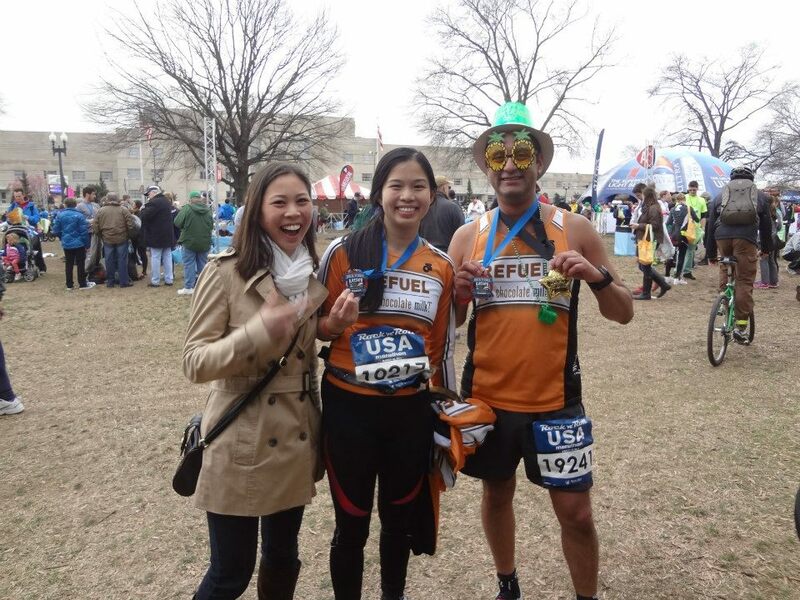 I crossed the finish line in 2:16:35. It wasn’t my best time, but after a 50-miler I will take it! Thank you to Got Chocolate Milk and Skechers for sponsoring me, and see you on a run somewhere fabulous soon! 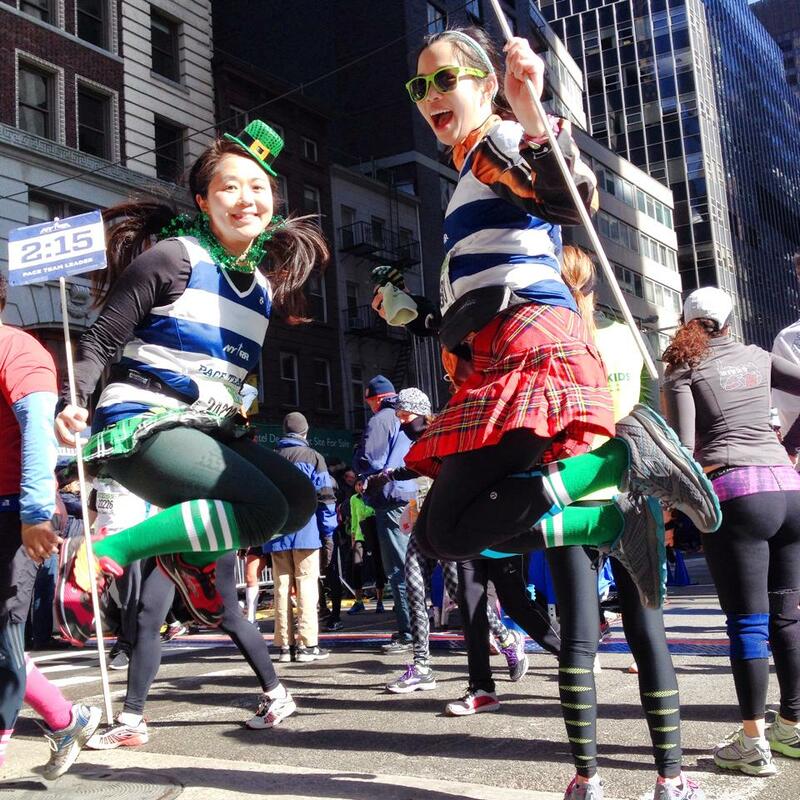 Categories: Uncategorized | Tags: Big Egg Hunt NY, Boston Marathon, chocolate croissant, Easter, Faberge, Faberge Big Egg Hunt, Isabelle Arpagian, Miami, Miami Famous, Miami Half Marathon, More Fitness Half, NYC Half, Pubbelly, Pubbelly Sushi, Rock 'n' Roll USA Marathon, Skechers, Skechers Brand Ambassador, sushi, True Loaf Bakery, Where's Waldo | Permalink.